Description: This resource includes a short passage and four multiple choice questions. It gives immediate feedback. 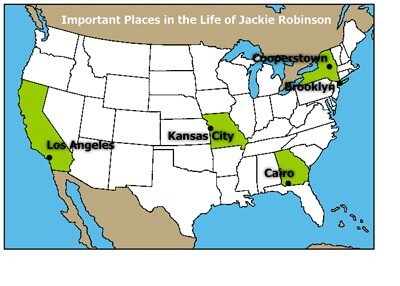 Description: This interactive map allows students to click on specific cities to find out about Jackie's life there. 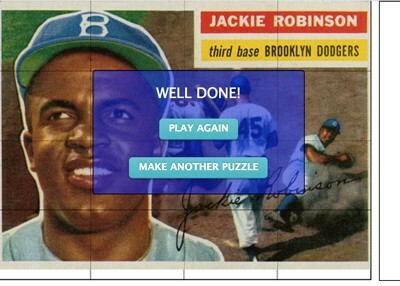 Description: This scavenger hunt is designed for use with the Jackie Robinson Important Places interactive map. 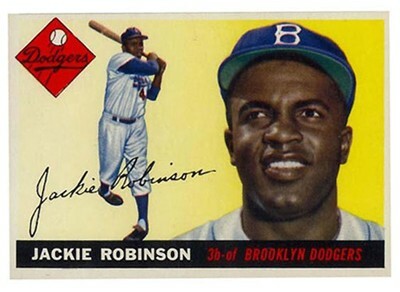 Description: This is a short biography on Jackie Robinson designed for younger students. 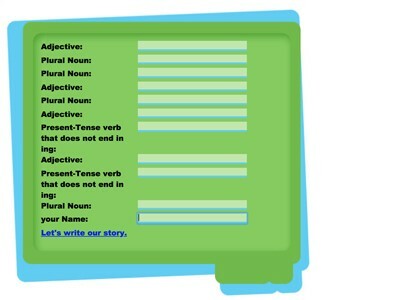 Description: This fun, interactive activity allows students to type in parts of speech to create a hilarious and printable story about reptiles. 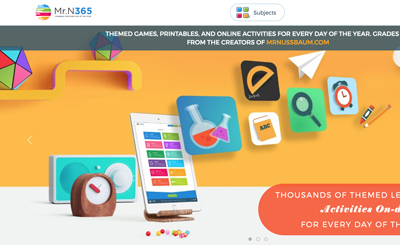 Description: This awesome jigsaw allows students to make their own jigsaw pieces, or, allow the program to auto-cut pieces. 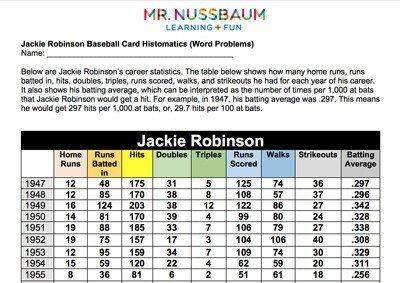 Description: Baseball Card Math is an activity in which students must make calculations and conclusions based on a player's statistics (listed on the back of a baseball card). This particular example reinforces operations with decimals. Description: Baseball Card Math is an activity in which students must make calculations and conclusions based on a player's statistics (listed on the back of a baseball card). This particular example reinforces drawing conclusions and reading statistics from line graphs. Description: Baseball Card Math is an activity in which students must make calculations and conclusions based on a player's statistics (listed on the back of a baseball card). This particular example reinforces operations such as multi-digit addition and subtraction. 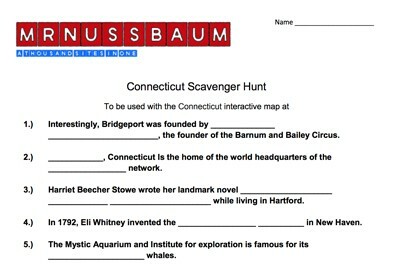 Description: This resource includes a historical passage and five multiple choice questions. It focuses on passage details. Description: This resource includes a historical passage and five multiple choice questions. 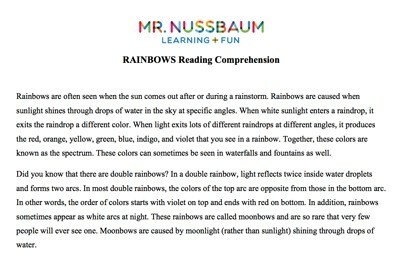 It focuses on main idea. 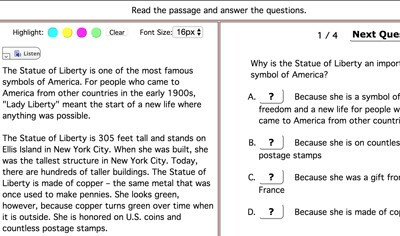 Description: This resource includes a historical passage and four multiple choice questions. It focuses on sequencing of events. 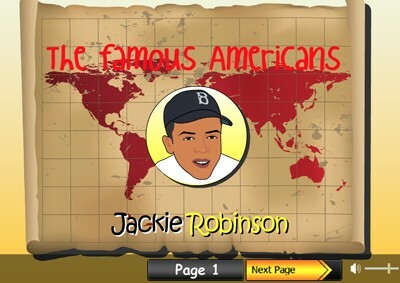 Description: This is an animated book about the life of Jackie Robinson.